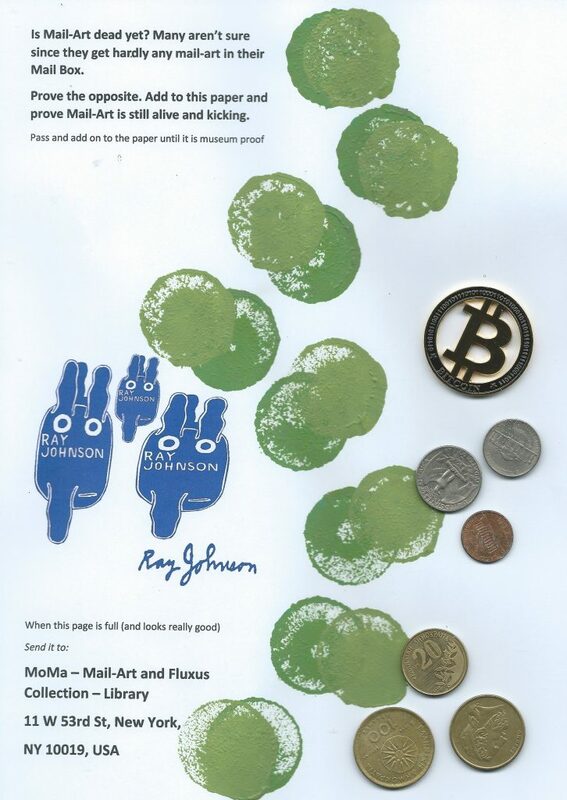 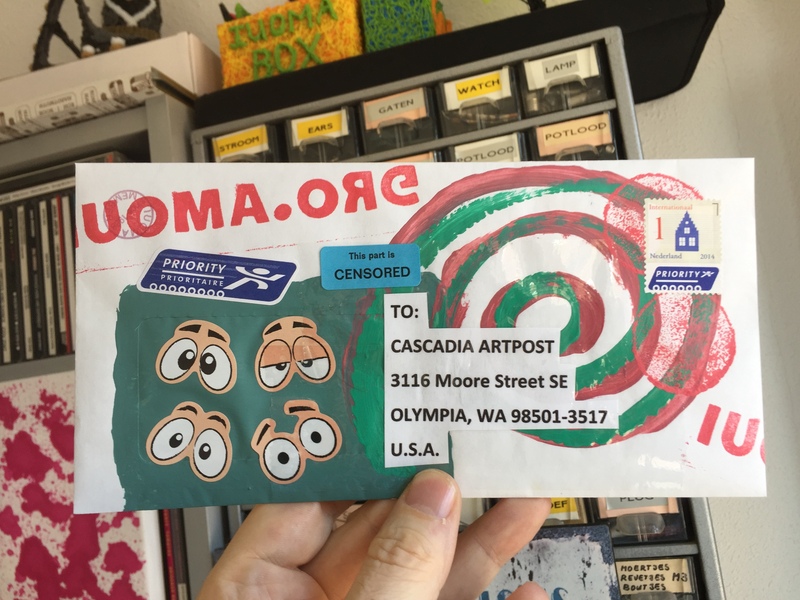 iuoma.org – Interested in Mail-Art? 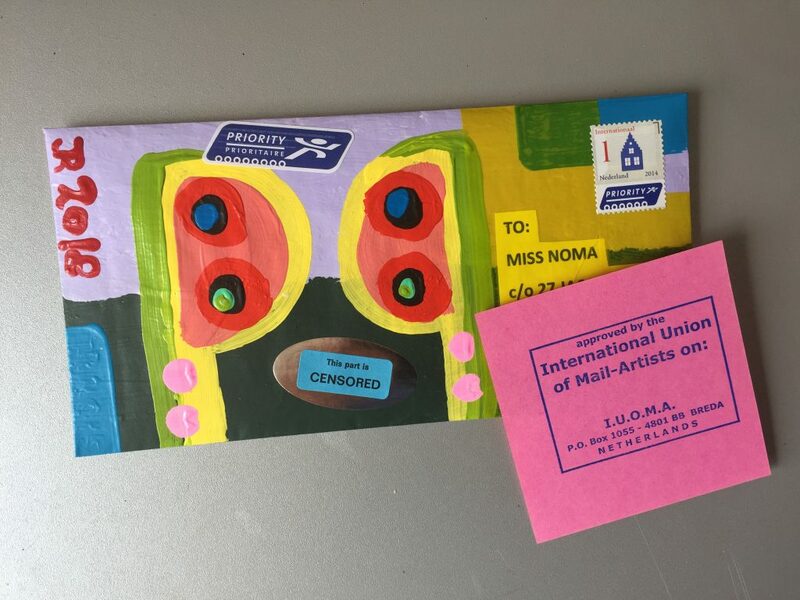 – Page 2 – welcome to the International Union of Mail-Artists. 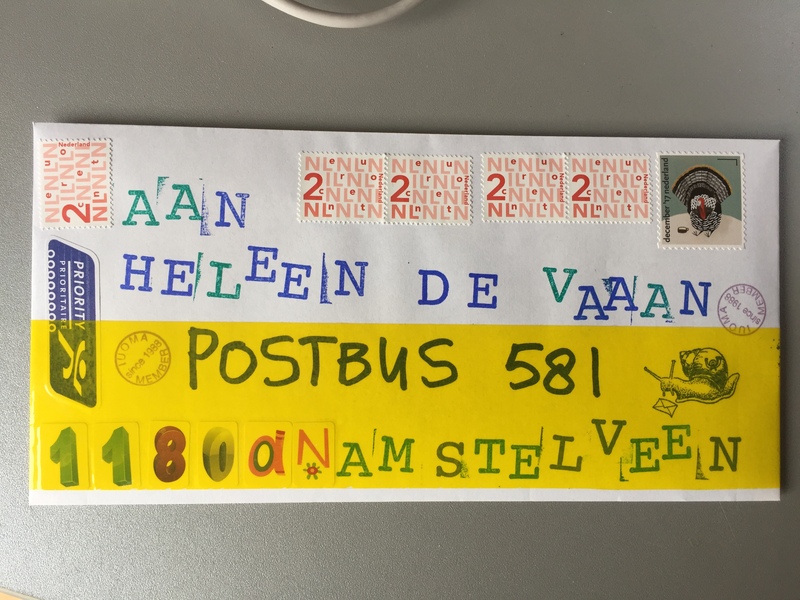 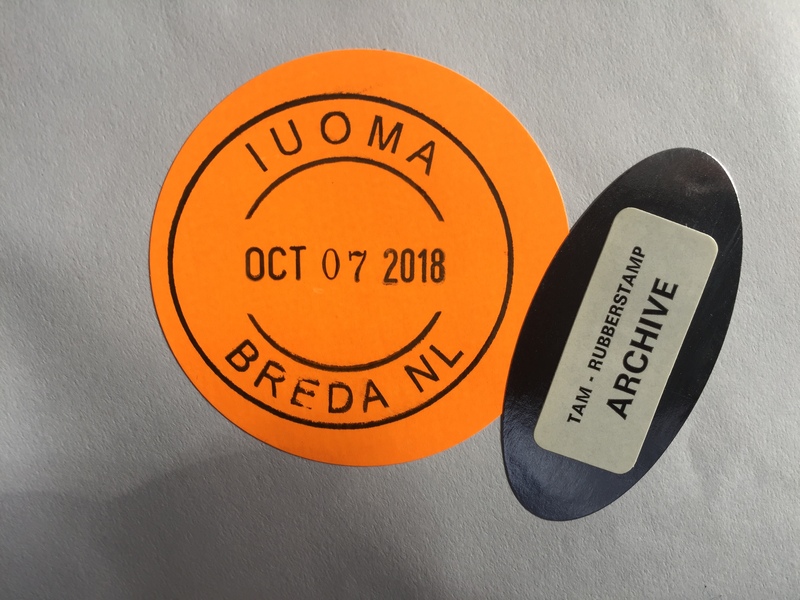 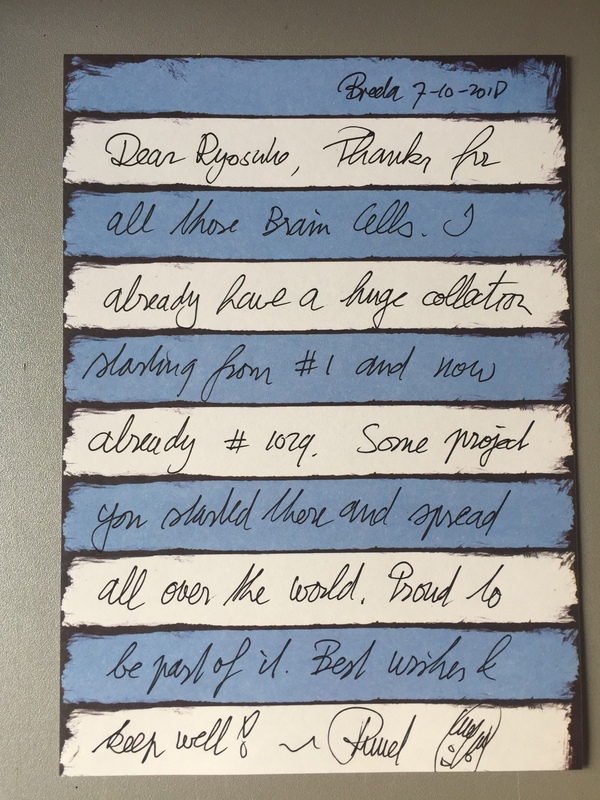 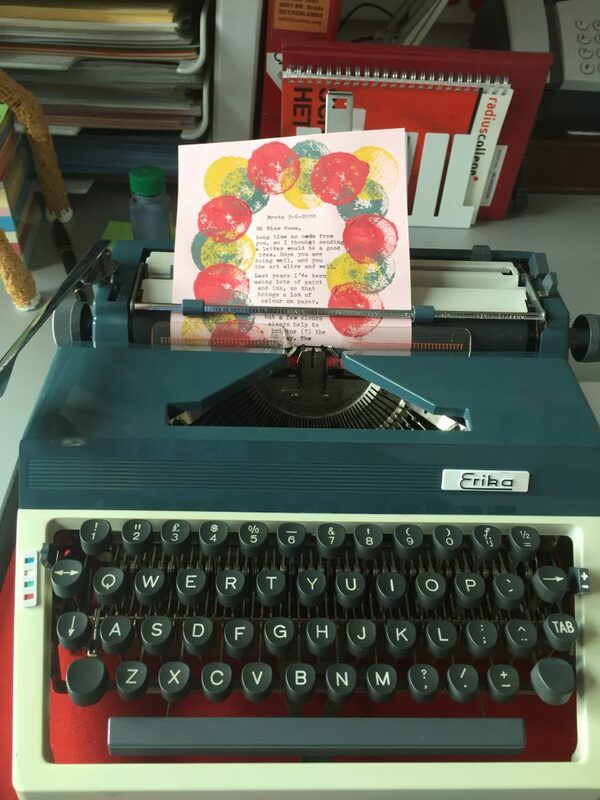 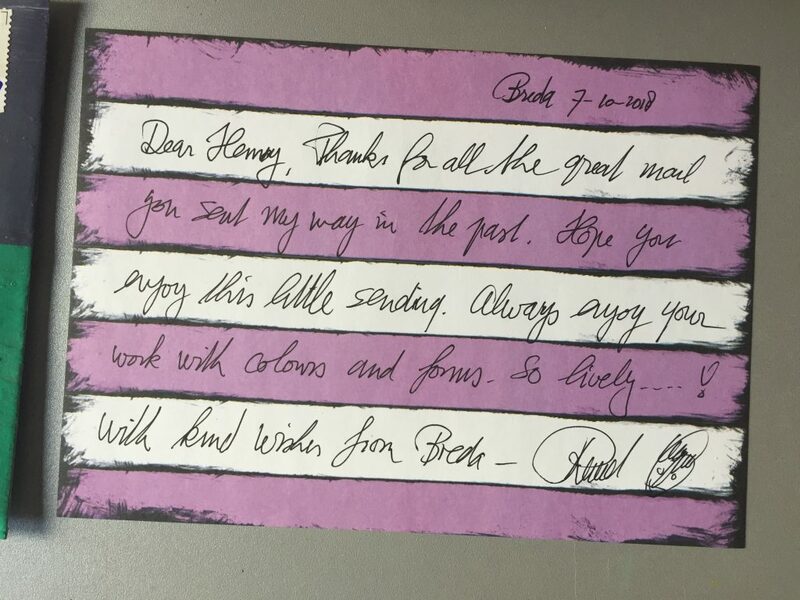 This Blog gives you information and links to all activities undertaken by Ruud Janssen, who started with Mail-Art in 1980 and is still active. 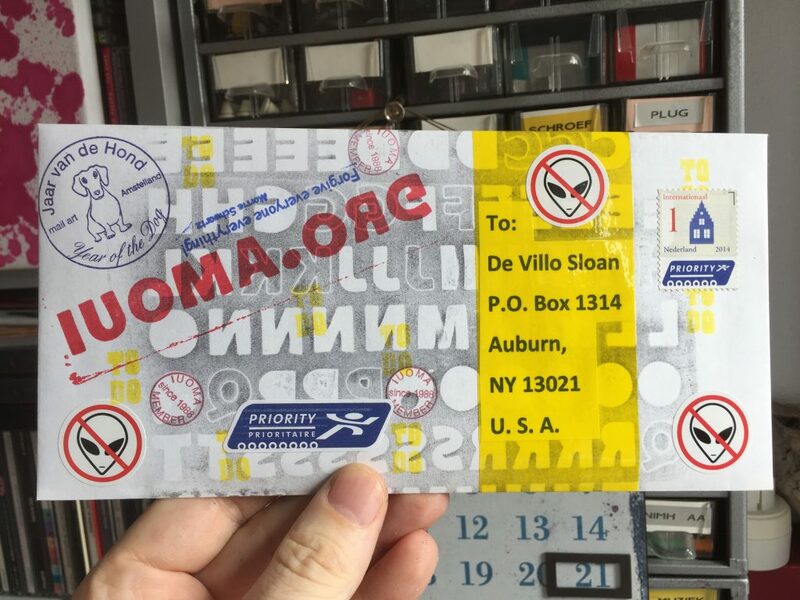 Outgoing envelope to De Villo Sloan (DVS) in USA. 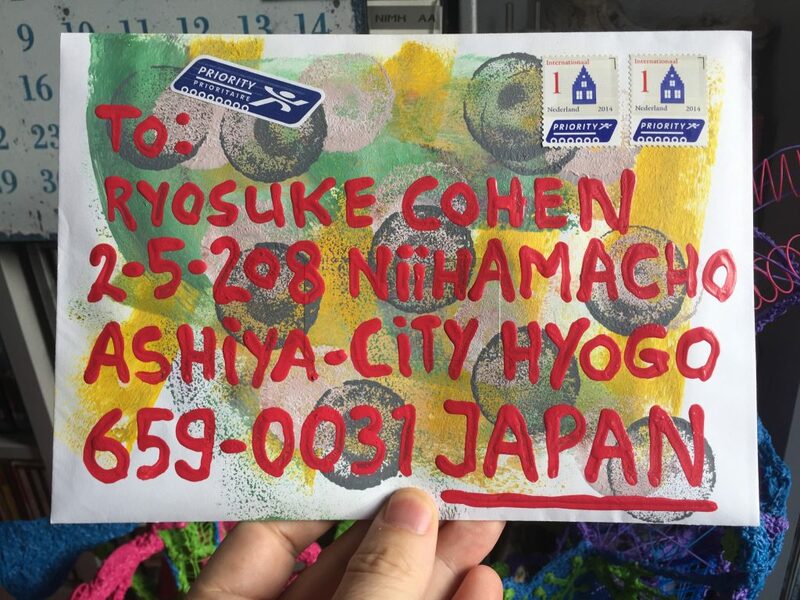 Inside some personal things for him which I won’t document online. 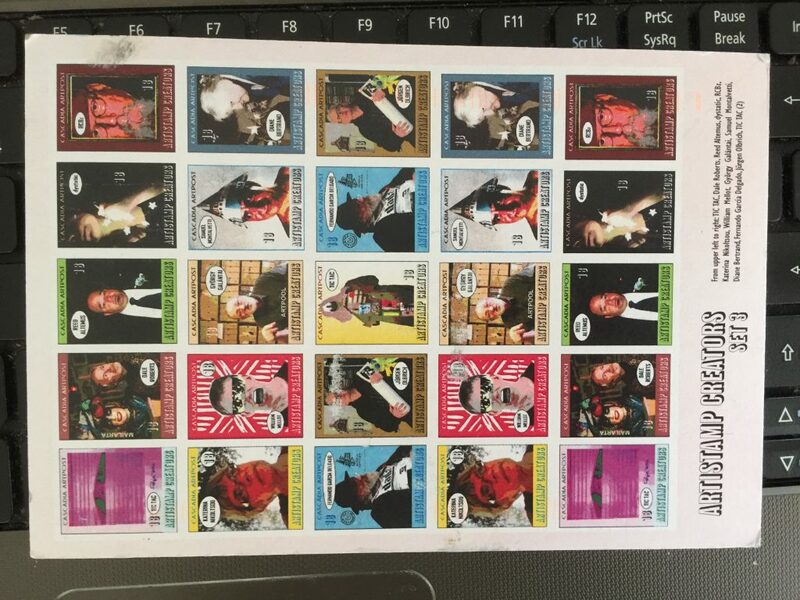 Also an original is included….. 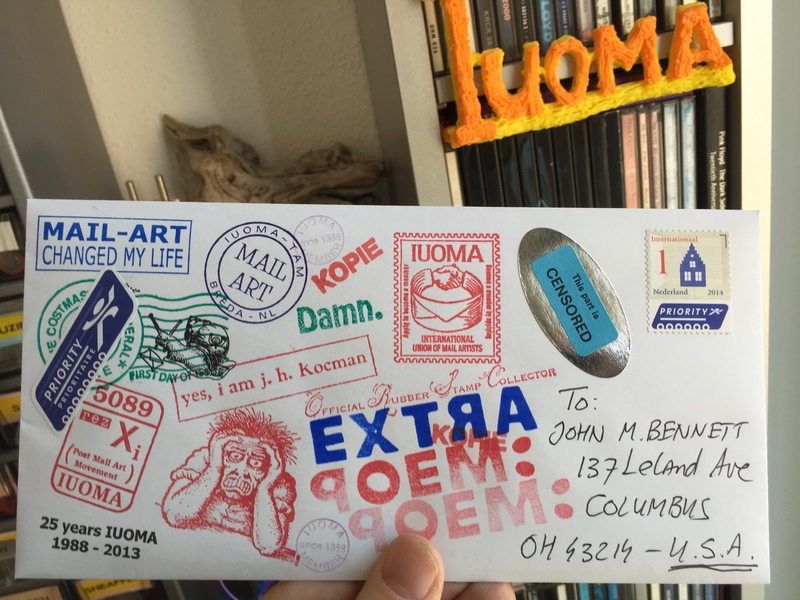 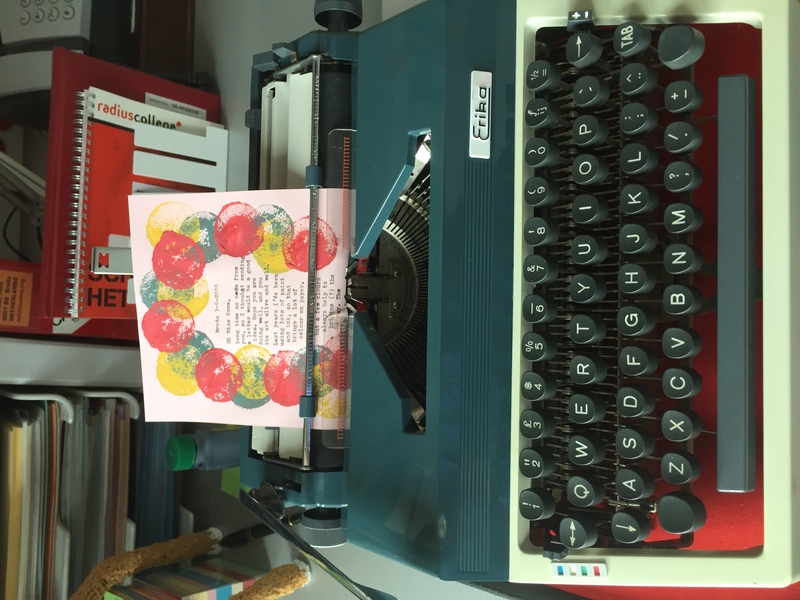 The Mail-Art network always is looking for new ways to communicate in a creative way. 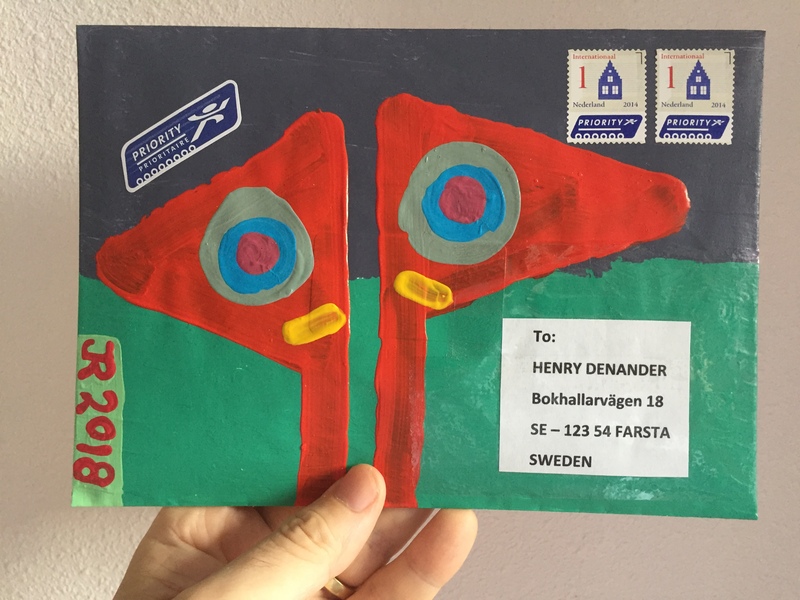 From sender to received in whatever medium there is. 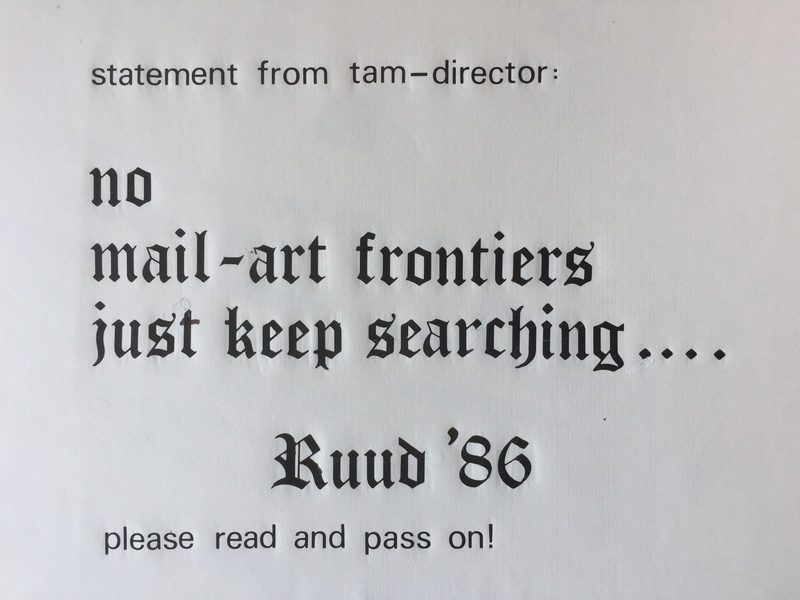 The Internet and Facebook haven’t changed that. 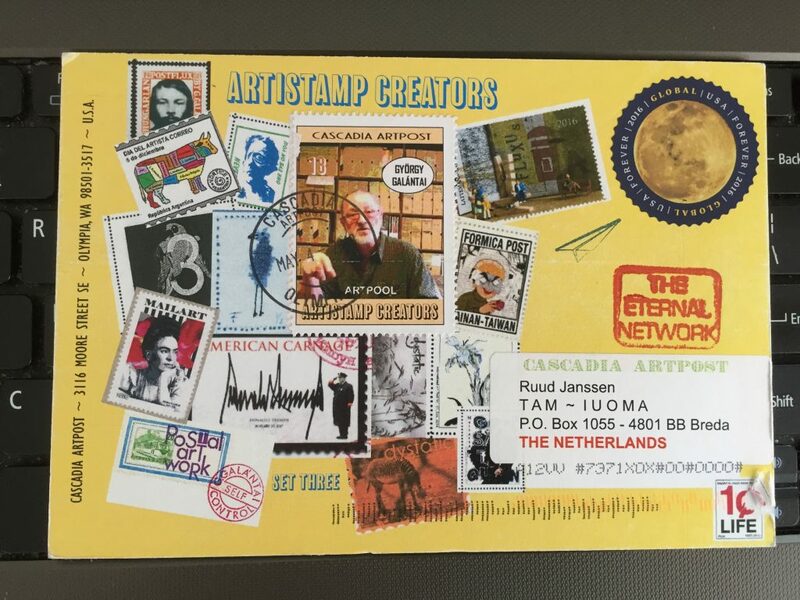 Some outgoing envelopes on May 4th 2018. 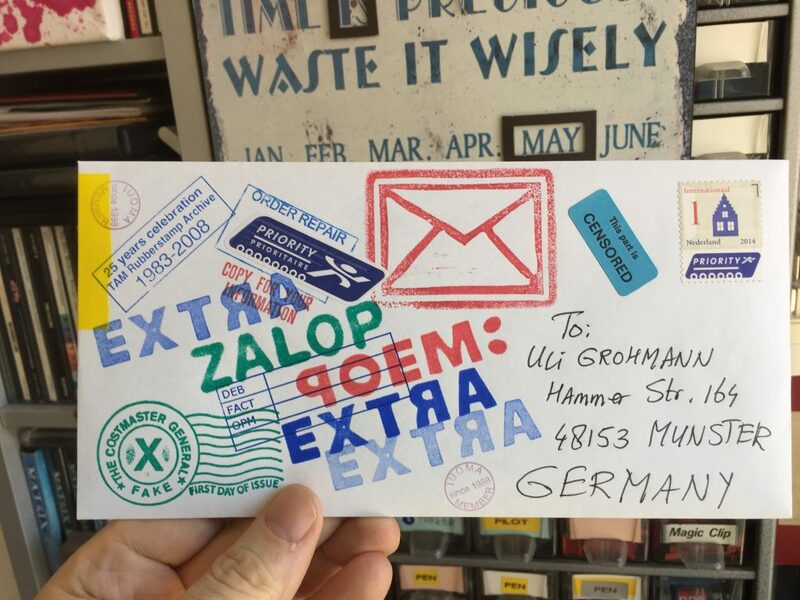 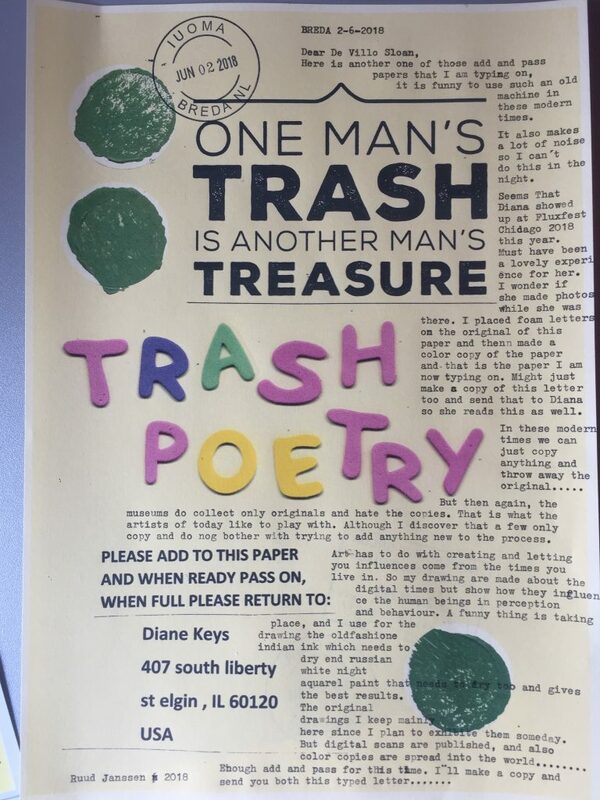 Some old names get snail-mail again after they have been active online that much….